Jinjiao Wang, PhD, RN, has been named a fellow at the Research Career Institute in the Mental Health of Aging (CIMA). 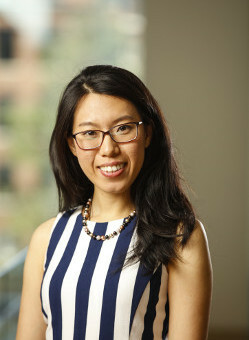 Dr. Wang joined the School of Nursing as an assistant professor in 2017. She conducts research to improve the care for geriatric syndromes (e.g., frailty, depressive symptoms) among older community-dwelling adults through home health-delivered interventions. She has conducted studies to examine: 1) the home health care delivery model in the older population, with a focus on the barriers and facilitators to the care for frailty and depressive symptoms; 2) differences in frailty between older hospitalized patients discharged to different post-acute care services, i.e., home health care vs. home with self-care; and 3) trajectories of frailty among older patients for up to six months after hospital discharge, associations with the usage of home health services, and adverse outcomes. Currently, she is developing programs to educate home health nurses on geriatric syndromes to implement health coaching interventions in the community. "I am a nurse scientist and my heart always goes to the older folks. Professionally, my goal is to help older adults maintain independence and safety while staying at home. Specifically, I am interested in how physical frailty and depressive symptoms, as well as other geriatric syndromes, can be assessed and addressed early in the course of development using home health care inititated interventions." Wang, J., Kong, D., Sun, B. C., Dong, X. (2018). Health services utilization among Chinese American older adults: Moderation of social support with functional limitations. Journal of Applied Geontology.